Raza shares his Rotten Easterahk Egg. If your planning to see a movie at AMC theaters, check your drinks before you throw them away. 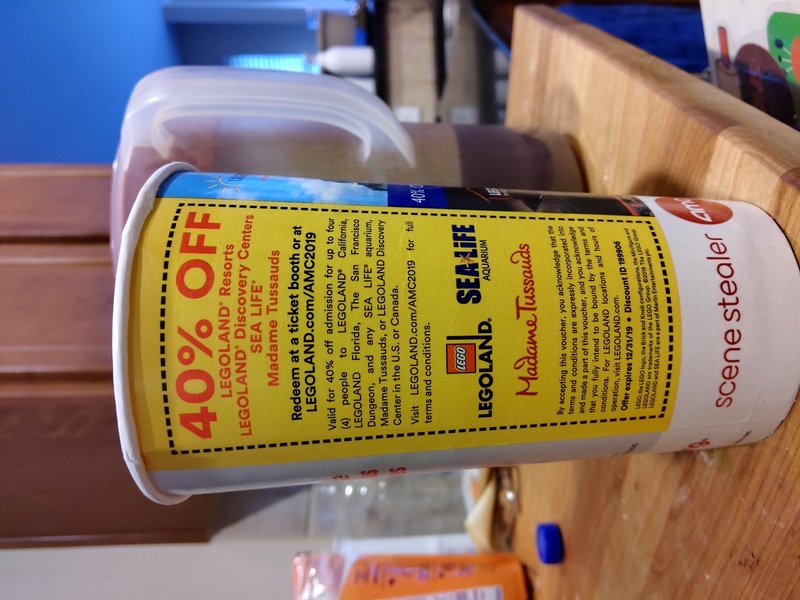 They may have a coupon for an impressive 40% discount on LEGOLAND Resorts or discovery centers. What makes this particularly impressive is the coupon is good for up to four people, and wont expire until the last day of this year. Listed as a weekly special and running until April 22nd, a $35.00 USD purchase from LEGO Stores will get you a Chicken Skater Pod. The pod contains an exclusive version of the chicken suit minifigure, a bunny, and a ramp. Both the bunny and minifigure come with a set of skates. Forum link. The LEGO Group has announced a new version of the Alderaan Cruiser, "Tantive 4". The refreshed design takes advantage of a number of newer parts, and looks like a huge step up from previous versions. I have a hard time thinking it's worth the $199 MSRP, but I've never been a huge star wars fan. It will be releasing March 4th, although VIP members will be able to order theirs a day early. Forum link. Cartoon Network releases a video mixer including BIONICLE clips.